Almost half of carmakers’ model ranges were not WLTP compliant at the start of October, according to Jato Dynamics, reflected by the Europe’s lowest September registrations in almost a decade. Manufacturers have been re-testing their entire model range under WLTP conditions since September 2017. The tougher Worldwide Harmonised Light Vehicles Test Procedure (WLTP) was introduced on 1 September 2017, replacing the New European Drive Cycle (NEDC) for all newly-homologated vehicles. 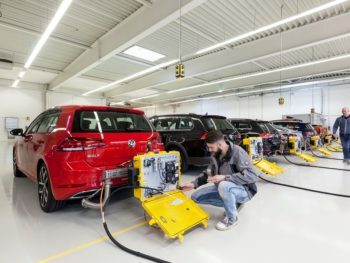 Carmakers had until the end of August to re-test all except run-out models, which must be phased out before 1 September 2019. Jato’s research shows this process is running slowly. The company analysed 61 brands and 5,044 variants across 22 European markets, finding just 57% (2,898 variants) had been WLTP tested as of the start of October. Sales of some variants have been suspended while they await testing, or dropped altogether, and Jato said vehicles which are due to be replaced probably won’t be tested at all. The knock-on effect is significant disruption to deliveries in September – carmakers cleared a lot of pre-WLTP stock in August, contributing to a 23.4% (343,000 unit) year-on-year drop in registrations the following month. Jato said those who have the highest rates of WLTP homologation also recorded the lowest declines in registrations during September but did not name specific brands. Despite September’s slump in registrations, the new car market across Europe appears healthy. Registrations year-to-date are up 2.3% (278,000 units), totalling 12.26m vehicles across the 27 markets included in Jato’s data. Combined August and September registration figures were also almost static year-on-year, with a 3% decline.